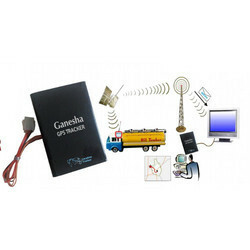 Ganesha is a GPS/GSM based vehicle tracking Unit with built-in antenna & battery. The unit enables the vehicle owners or third parties to track the location of a Truck, ship and container, car or any other object which is moving. All the communication with the user/server is handled by Dual-Band GSM/GPRS module which accurately delivers all the navigation data. The communication is either through Short Message Service (SMS) or GPRS network. The unit can be remotely configured using SMS for different settings like interval etc. Looking for Vehicle GPS System ?